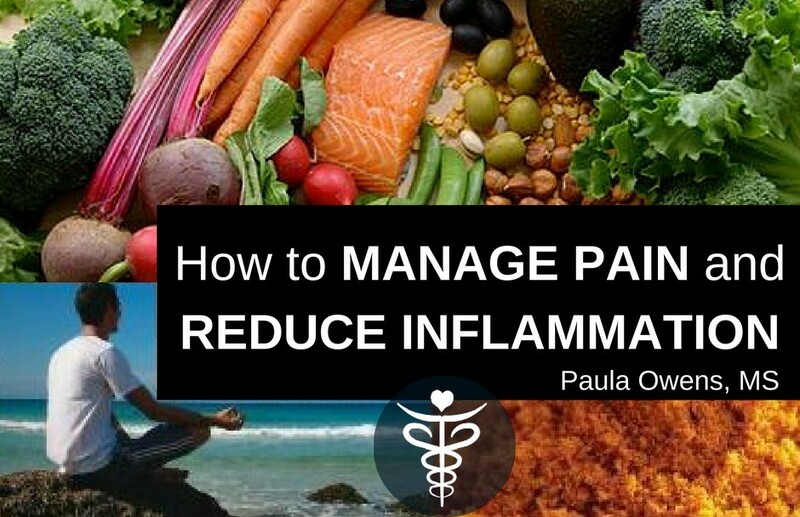 Learn how to manage pain, soothe arthritis, and reduce inflammation naturally using food as medicine, lifestyle modifications, nutrient therapy, sunlight therapy, and other natural remedies and holistic therapies. Approximately 15,000 people die each year from illegal street drugs. Over 100,000 are killed each year from prescription medications! Deaths caused from overdosing on painkillers now surpasses murders and fatal car accidents in the U.S.
75% of all visits to most medical doctors end with a prescription! Pharmaceutical companies spend billions of dollars a year to market their drugs. Prescription medications like hydrocodone and oxycodone are narcotic opioids, just like heroin and these drugs are vastly over-prescribed and highly addictive. Even pregnant women are being prescribed toxic pain medications! According to a study in Anesthesiology, more than 14% of pregnant women were prescribed opioids for pain at some time during their pregnancy! “Heroin, morphine, hydrocodone, and oxycodone are all classified as opioids because they exert their effect by attaching to the opioid receptor found in our brain and spinal cord,” according to Dr. Wilson Compton, deputy director of the US National Institute on Drug Abuse. The truth is that many of these “lifestyle dis-eases” can be alleviated, completely reversed, and health restored by using food as medicine, correcting nutrient deficiencies, healthier lifestyle habits, moving your body, getting daily sunshine, proper breathing techniques, reducing toxic chemical exposure, optimizing the microbiome, and identifying the root causes. An estimated 116 million U.S. adults suffer with chronic pain – that’s twice as many people that have strokes, cancer, heart disease and diabetes combined. Pain is the most common reason people seek medical advice. When we get hurt or suffer an injury, this is defined as acute pain whereas an ongoing dis-ease or degenerative condition that continues to cause discomfort is described as chronic pain. Pain meds are one of the most over-prescribed drugs in the U.S. Prescriptions for opioids have risen by 300% over the past 10 years, and have fueled a whole new heroin epidemic. The dangers and misuse of OTC pain meds and prescription pain medication leads to abuse, addiction, and comes with a laundry list of serious side effects. As the nutritionist for The River Source (holistic drug and alcohol treatment centers), they confirm that detoxing an addict off of oxycodone and oxycontin is the most challenging of all drugs, more so than heroin, cocaine or alcohol. Ninety percent of all addictions (no matter what the drug of choice), starts in adolescent and young adult years. Typically, young people who misuse prescription opioids are also heavy users of alcohol and other drugs. To reduce opioid addiction, we have to target the real risk factors and root causes, which include child trauma and abuse, mental illness, underlying emotional pain, and unemployment. Two thirds of those addicted to opioids have had at least one severely traumatic childhood experience, and the greater the exposure to different types of trauma, the higher the risk becomes. Here’s how you can manage pain and soothe arthritis, and tips to reduce inflammation naturally! Food sensitivities are responsible for chronic low-level inflammation. The most common offenders: wheat, gluten, sugar, artificial sweeteners, corn, soy, eggs and dairy. Even so-called healthy foods can be the cause of hidden inflammation and distress for your body. Cut the sugars, highly processed foods and carb-heavy foods that amplify pain, increase inflammation in your brain and body, spike insulin and blood sugar, add inches to your waistline, and cause anxiety, moodiness and depression. Ditch the processed, packaged, fake frankenfoods, soda (including diet soda), wheat, gluten, grains, fructose, artificial sweeteners, GMOs, chips, vegetable oils including canola and soybean oils, trans fats, pesticide-laden foods, nightshade vegetables, and conventional, factory-farmed animal protein and dairy. Eat nutrient-dense, anti-inflammatory foods. Choose organic as much as possible. Include plenty of avocado, pastured butter, pastured eggs (if you’re not sensitive to them), olives, coconut and olive oil, fatty fish such as wild (not farmed) salmon and sardines, turmeric and ginger root, garlic, oregano, a variety of leafy greens, veggies, bone broth, green tea, raw apple cider vinegar, cherries, pineapple, papaya, and berries. Monitor portions at every meal. Mindless eating and consuming large amounts of food increases inflammation. Stay hydrated. The simple habit of drinking plenty of clean, filtered water can alleviate pain and reduce inflammation. Apple cider vinegar in a small amount of water with a pinch of sea salt before meals is a naturally remedy for pain, osteoarthritis and inflammation. Never ever take Tylenol after drinking alcohol. It’s a deadly combo for your liver and your kidneys. Heal and seal the gut. Optimize digestive. Avoid antacids and calcium carbonate supplements. Many individuals with osteoarthritis actually have hypochlorhydria! Test for and rule out underlying infections such as H.pylori, yeast, Candida overgrowth, parasites, bacterial, hidden dental infections and viral infections. Evaluate thyroid function. Two-thirds of joint and muscle pain go away by treating the thyroid properly. A 2001 study published in the Journal of Nutritional and Environmental Medicine switched patients from T4 to desiccated thyroid. After two years, joint and muscle pain decreased from 77% to 28%, headaches from 55% to 15%, and muscle cramps from 56% to 8%. Be mindful of your stressors. Stress of any kind (physical, mental, psychological, relational, emotional, electromagnetic, environmental) increases inflammation and intensifies pain. Balance hormones, specifically cortisol and insulin. 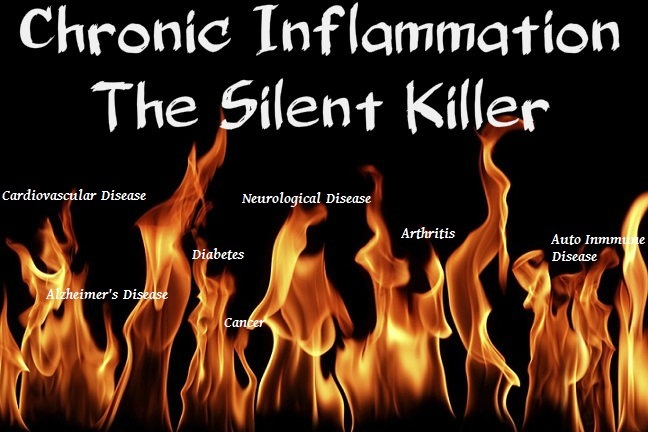 Insulin resistance, blood sugar imbalances and excessive or deficient cortisol and other stress hormones are direct causes of excess low-level inflammation. Spend time in nature without your phone. Oil pull a minimum of four times per week. Floss your teeth every day, and especially before bedtime. Resolve underlying emotions, which are often subconscious. Pain, tightness or chronic injuries in certain areas can be related to repressed emotions, life-experiences, or mental and emotional thought processes. Value the importance of quality and uninterrupted sleep. Sleep deprivation and late bedtimes increase inflammation. Be conscious of the negative side effects from toxic chemicals, electromagnetic pollution and radiation exposure from household cleansers, building materials, air pollution, wireless devices, smartphones and microwaves. Meditation is a proven pain killer. Just 20 minutes of meditation a day can completely change your perception of pain and even alleviate pain sensitivity. Address mitochondrial dysfunction. Support and restore function to the autonomic nervous system. Soak in an Epsom salt bath with 4-5 cups Epsom salts, 1/2 cup apple cider vinegar, 3-4 tablespoons ginger powder and 1/2 cup baking soda. Add 10 drops of your favorite essential oil such as lavender, vetiver, sandalwood or frankincense. Aromatherapy. Topical application of essential oils such as lavender, peppermint, frankincense, African marigold oil, chamomile, wintergreen, clary sage, vetiver, sandalwood and rosemary are very helpful for pain and inflammation. Moving your body every single day is crucial to manage pain and soothe arthritis. Keep in mind that too much exercise and insufficient recovery is counterproductive and can actually increase inflammation and oxidation. Osteoarthritis is generally due to wear and tear, so it’s important to avoid heavy repetitive work. Practice yoga, Tai Chi, Qi Gong, daily prayer and meditation. Consider natural therapies to manage pain such as acupuncture, hot and cold packs, EFT, hot and cold water body immersion, hyperbaric oxygen therapy, grounding, and even holding hands can result in amazing pain relief without the use of any drugs. Identify your personal nutrient needs and deficiencies, and bring your body into balance with nutrition through a Functional Blood Chemistry Analysis. It’s important to test inflammatory markers such as C-reactive protein (CRP) and fasting insulin. CRP is used as a marker of inflammation in the arteries; fasting insulin is a test that screens for diabetes and heart disease, but it’s also a marker for inflammation. Other inflammatory markers: increased hemoglobin A1C, liver enzymes, triglycerides, ANA, sediment rate, uric acid and glucose. Optimize vitamin D levels. Several years ago an inner city clinic discovered 93% of the 150 people with complaints of chronic, non-specific low back pain had vitamin D deficiency. And these weren’t just older folks, they ranged in age from 10-65. A study published in the Journal of Alternative and Complementary Medicine found 2,000mg of turmeric extract was as effective as 800mg of ibuprofen in reducing symptoms of pain and inflammation (and without the side effects of ibuprofen). Food Sensitivities to Blame for Pain and Inflammation?